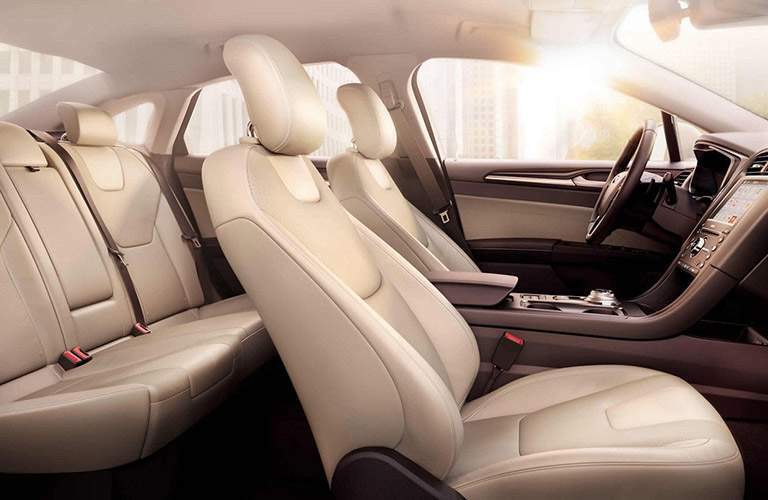 It’s not uncommon for a midsize sedan to offer comfort, convenience and safety features. They class has developed a reputation as a vehicle for individuals and families alike for a reason. What’s much rarer is a midsize sedan offering those things and doing so with refined, timeless style. 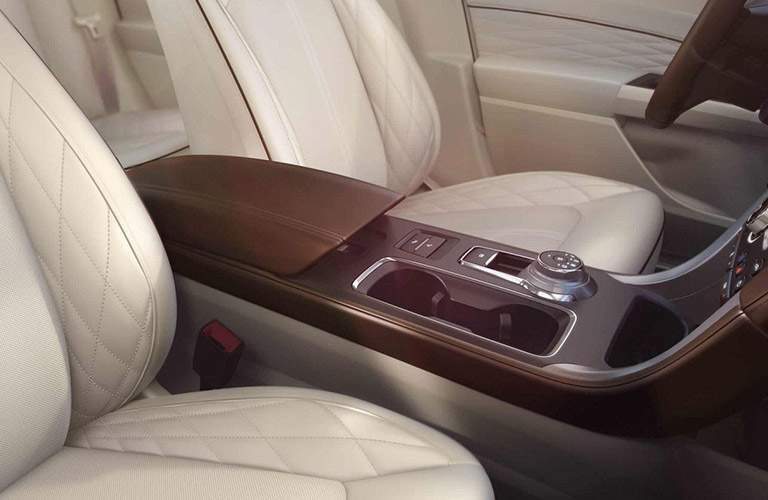 It’s completely unheard of for a midsize sedan to offer cutting-edge technology, luxurious comfort features and sophisticated style with a price tag that begins below $25,000. Combining a driver-centered experience with a range of performance options, and wrapping it in a striking design, the 2018 Ford Fusion is the real deal. From the base model S which offers several standard amenities like Ford SYNC®, a rotary gearshift dial, Hill Start Assist and more to the fully spec’d Platinum that adds several standard active safety and driver assist features, the 2018 Ford Fusion surprises and impresses in every configuration. Test-Drive a 2018 Ford Fusion near Huntsville, Alabama Today! The 2018 Ford Fusion is a car that everybody can appreciate. If you’re looking for efficiency, the 1.5L EcoBoost® 4-cylinder engine gives you up to 28 combined mpg. Those inclined toward thrill will find the 2018 Ford Fusion Sport model to impress with its standard all-wheel drive and 2.7L EcoBoost® V6 engine which puts out 235 horsepower and 380 lb-ft. of torque. Available all-wheel drive and a 112.2-inch wheelbase make the 2018 Ford Fusion a great vehicle for all-weather use. Inside, the 16 cubic-foot trunk stands above class competitors and offers ample space for any items you, and your family, need to bring along on the inevitable adventures you’ll have in the 2018 Fusion. 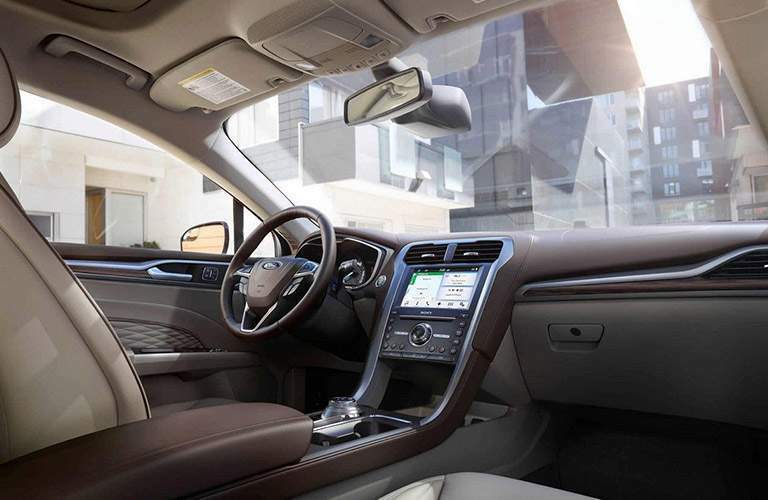 Safety features in the 2018 Ford Fusion are engineered under the assumption that you’ll be taking the people who matter most along with you. Standard on every 2018 Ford Fusion is AdvanceTrac® electronic stability control, airbags with knee airbags for both driver and front passenger, rearview camera, SOS Post-Crash Alert System™ and more. Active safety features available on the 2018 Ford Fusion include Adaptive Cruise Control with Stop and Go and Pre-Collision Assist, all of which help to mitigate potential collisions and accidents. The available Lane Keep System prevents dangerous lane-drifting and road departure due to distraction, tiredness or other factors. 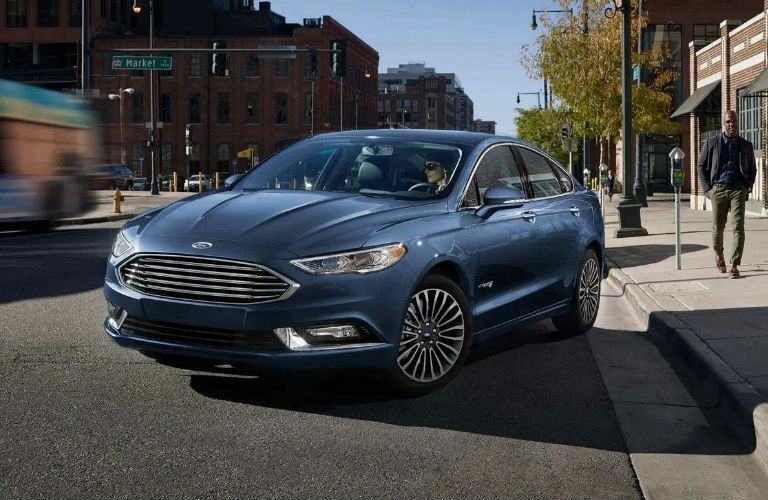 The 2018 Ford Fusion excels in its class, going above and beyond the conventions of the midsize sedan segment to provide a truly revolutionary experience that’s centered on driver and passenger alike. For more information on the 2018 Ford Fusion, or to schedule a test drive, contact us today!